Pound to euro exchange rate – how will Brexit affect GBP and where’s best to buy holiday money? POUND Sterling was treading water today with the currency pressured by uncertainty over Brexit and the prospect Theresa May could soon face a General Election. Here is our guide to what is happening in the euro currency market — and how to get the best price for your sterling. What is today's pound to euro exchange rate? At 10am today 1.12247 pounds was worth one euro compared to 1.1206 pounds at the previous close. Today's range is between 1.1202 and 1.1263. A series of setbacks suffered by UK Prime Minister Theresa May in parliament ahead of a key vote on her Brexit deal today had pushed sterling to a one-week low against the euro. However, on the day of the vote it is up by 0.36 per cent. How is Brexit affecting the exchange rate? If May loses the vote on Tuesday, January 15 on her Brexit deal and a national election is held that ushers in a Labour Party government and its high-spending policies that would likely weigh on sterling. 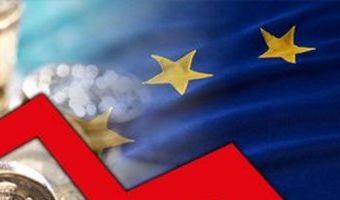 The chances that Britain will leave the … [Read more...] about Pound to euro exchange rate – how will Brexit affect GBP and where’s best to buy holiday money? Will the pound to euro exchange rate drop after Brexit and how has it been affected so far? TAKING A POUNDING From the moment the Brexit referendum was announced, the pound has suffered BREXIT has been a sad story for the value of the pound from the moment the referendum results came in. Even as the original referendum was called the value of sterling slumped to a three-decade low as investors considered an England outside the EU. But what has it done since then? Will the pound to euro exchange rate drop after Brexit? Given the concern investors have already shown at the prospect of England outside the EU, when the bond is finally cut, it will undoubtedly affect the exchange rate further. The security of the UK as a place to do business will be impacted, as it reconsiders its alignment with the world’s largest free trade zone. Then there is the issue of free trade – a big influence in a currency’s value – and a complete unknown on the Brexit front. Whether the UK heads for a no-deal, Theresa May’s “soft” Brexit, or a second … [Read more...] about Will the pound to euro exchange rate drop after Brexit and how has it been affected so far?